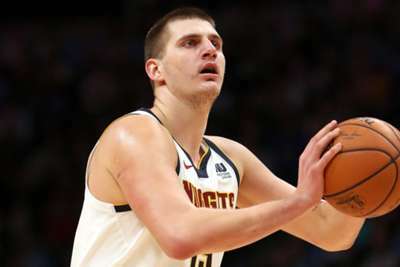 Michael Malone says the "special" Nikola Jokic must be an NBA MVP candidate after he starred in the Denver Nuggets' victory over the Dallas Mavericks on Tuesday. Serbian center Jokic led the Nuggets with a game-high 32 points and claimed 16 rebounds in a 126-118 win at Pepsi Center. The Nuggets are 21-9 at the top of the Western Conference and coach Malone says Jokic has to be in contention for the MVP award given the impact he has made. Asked what he brings to the Nuggets, he said: "Everything. We need to score; he scores 32. We need him to rebound; he does that. We need him to facilitate and make plays for his team-mates; he does that. "I think Nikola has shown everybody in the NBA, that he is a most valuable player candidate, not just from a stats standpoint, but he does it every single night in so many different ways. "That's why he's a special player and that's why we all love that he's a Nugget." "No, that just an individual thing. What happens, happens. I cannot effect it." he said. Malone says his side believe they can go the distance this season. "They bought in a long time ago. We're 30 games into the season, this team early in the year had a great belief going into the training camp, had a great belief going out of pre-season and to be 21-9 on top of the Western Conference, there's complete buy-in." he stated. "The fact that we're doing it as the second-youngest team with all the injuries we have makes it that much more special. "We've got a unique group, a great group. There's a lot of fun in that locker room right now. Winning is great and hopefully we can sustain this."